Protect Me From Wire Fraud | Scarab Title & Escrow Services, LLC. Targets for fraud used to be credit card companies, big retailers, or in general large corporations. These corporations have insurance or resources to handle fraudulent transactions. Today however, targets for fraud are every day hard working people simply looking to purchase a new home. The real estate professionals have become the portal for fraudsters in today’s electronic world. “Pending Contract” once was a happy sign for someone looking to sell their home. Today, it is almost like telling the sellers to suit up, now we are a target for thieves. As technology caught up with real estate transactions, electronic communication increased productivity. Gone were the days of negotiating a real estate contract sitting at the dining room table. The internet was the new up and coming and everyone was moving towards this new technology to increase productivity, more time, more sales, more income. Email addresses were the new phone number and fax machine, we all had to have an email address. Conforming to the new norm was made easy, hit your favorite search provider and sign up for your free email account, I still today see aol.com emails. Thieves are opportunists, this gave them the opportunity to collect critical real estate information was at their hands….. If only they had the password. Human nature in all of us kicks in and we set our passwords to something we would easily remember like our birthdays. BINGO! Sophisticated thieves figure on the internet they are likely to find your birthday somewhere. As email providers required “strict” passwords the thieves had to figure out a different solution to their thievery. So we changed our passwords to something like “The_big_red_truck45”. Long passwords for sure make it difficult to guess and more inconvenient to type. So, our browser asks us to save the password. To much work so we hit “yes”, no more typing it in. Phishing was not a casual misspelling, and for sure not how you catch dinner. Phishing is defined by the Webster’s Dictionary as “a scam by which an Internet user is duped (as by a deceptive e-mail message) into revealing personal or confidential information which the scammer can use illicitly”. During this age of technology, real estate agents and title companies alike are used to receiving electronic signature type emails. A quick email and a couple clicks of the “ok” button and off it goes. The real estate agent receives an email that looks identical to an E-Sign email and they click the link. By the time they realize it was fake, software has already been downloaded causing these stored passwords to be sent to the thieves. These accounts are then used to simulate the pending real estate transactions, with incorrect information. Wire fraud is now in play. It is important to understand how you get here. 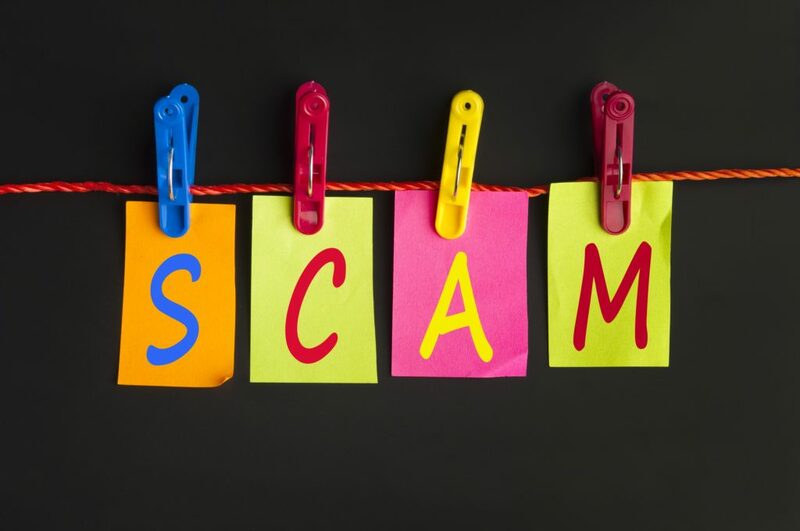 Being a victim of wire fraud is frustrating, avoiding these types of scams is possible. Clients buying or selling a home, rely on the guidance and knowledge we have has professionals. The Consumer Financial Protection Bureau (CFPB) has acted many of times against people that did not provide enough security measures to protect against wire fraud. Our company has securely emailed private info to a real estate agent only to have them send it out to everyone for their reading. Even worse, the agent used a free email service to disclose this information to people who had no reason to have it. If your client falls victim to a wire fraud scam, you can almost bet that they will blame you for not doing enough to protect them. So, I have to ask you this. As a real estate agent, would you be willing to lose your career over not providing enough security for your client? Do not use free email accounts. Domain based email is more trustworthy and professional. Change passwords often. Changing your password several times a year is a good practice. Never click a link if you do not know it’s purpose. Phishing starts with Unrecognized or unexpected emails. Warn clients about the risks of wire fraud. Confirm all wire transfers BEFORE sending. Find a title company that is concerned with client security. Title companies without good security measure is an invitation for thieves. Encourage clients to utilize secure document portals. Transferring documents insecurely is how it starts. Notify the FBI if you are a victim of wire fraud. The FBI has set up an online reporting tools specially for this at www.ic3.gov.